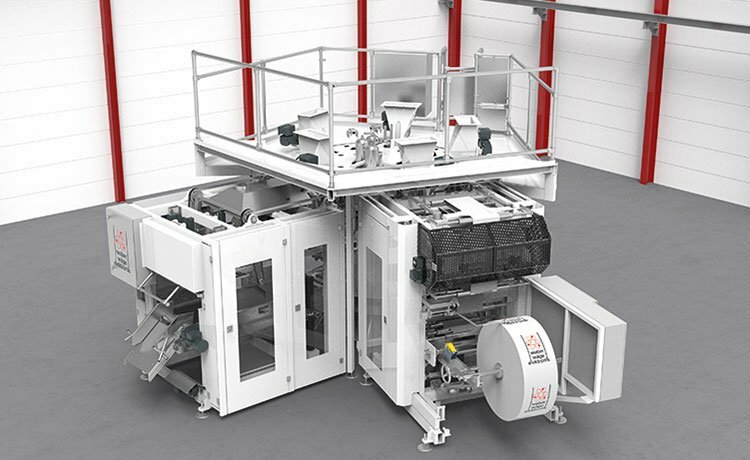 WEBER rotary FFS machines are specially designed to handle highly aerated products, e.g. building materials, cement, powders, etc. 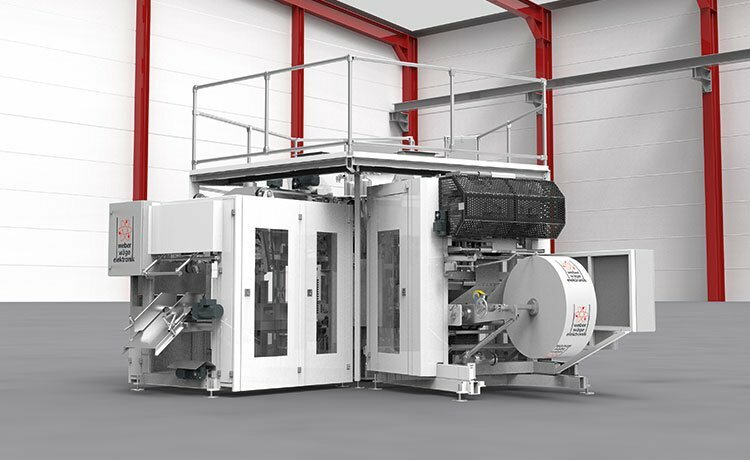 Depending on the number of filling spouts, a throughput of up to 1200 bags per hour is currently possible. 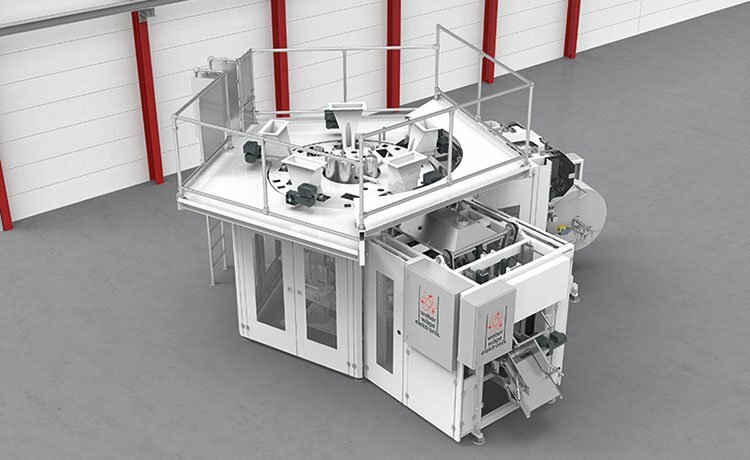 The innovative machine design keeps energy consumption and dust emissions to a minimum. We would be happy to send you further information on request.